Upgrade your kitchen with this innovative airtight coffee storage system. Bulletproof® Airscape® solves the problem of staleness caused by canisters that seal the air in instead of sealing it out! Airscape ejects excess air that damages food flavors, and then seals it out. 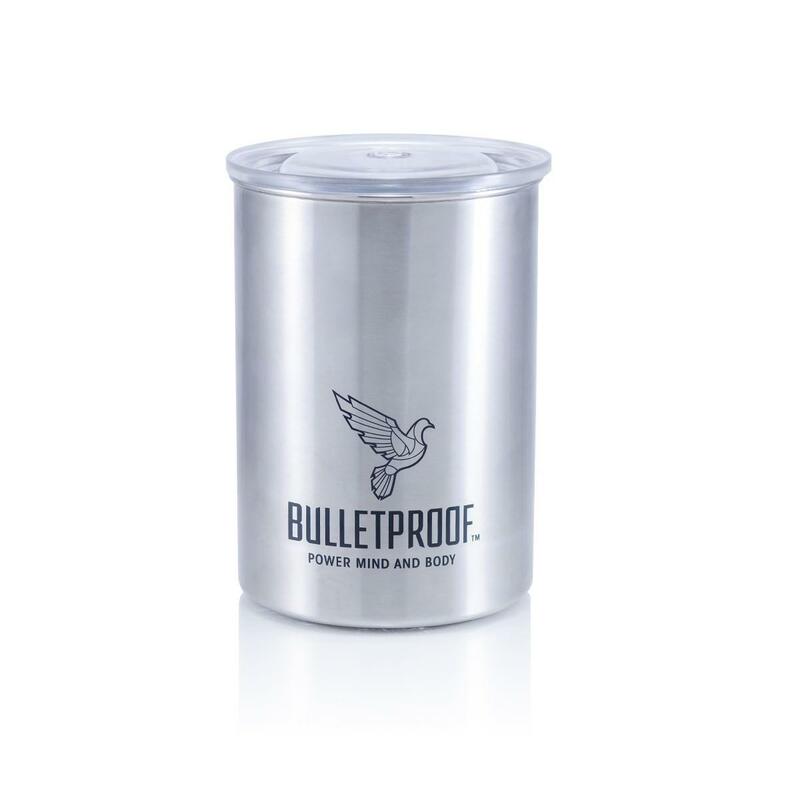 Keep your coffee, Upgraded Collagen, Upgraded Chocolate Powder, or Whey 2.0 protein fresh longer with this airtight canister with patented sealing lid. This patented AirScape® canister technology protects your food and coffee from air so you can store it safely over time. Easily press the air out of your canister and then just flip the handle to seal the air out. Airscape’s patented locking lid serves as the ultimate protector of dry ingredients to completely keep air and moisture out. Planetary Designs is the owner of the registered trademark for Airescape.